The Chedi Dhapparu, located on the 55-hectare crescent-shaped Dhapparu Island in Haa Alifu atoll in the Maldives, is scheduled to open in 2018. The resort to be developed by AUR Overseas Holdings Limited (BVI) will include 90 villas and 40 hotel suites. All 130 units offer direct beach access and unrestricted views of either a coral-reef lagoon or the open ocean. The generous villas, ranging from one to four bedrooms, cover up to 565 square metres while half of the 90-square metre suites will have private pools for added luxury. Spa and wellness facilities are complemented by a beach club with a dive centre and bar. Dining takes on a lavish touch with choices of cuisine from the Maldives, India, Sri Lanka and Japan. The island’s location in the northernmost tip of Maldives puts it approximately one hour away (approx. 300km) from Ibrahim Nasir International Airport, the major international airport of the Maldives. Hanimaadhoo International Airport (which is only 20 minutes by speedboat) is expected to open routes from international locations, which would increase accessibility to the destination, and allow for supplies to be accessed easily from the proposed location of the resort. The resort will be operated by globally-recognized, premier hotel management company General Hotels Management Ltd (GHM), under the “Chedi” brand. 110 of the units will be marketed to investors with the option to participate in a managed rental program. 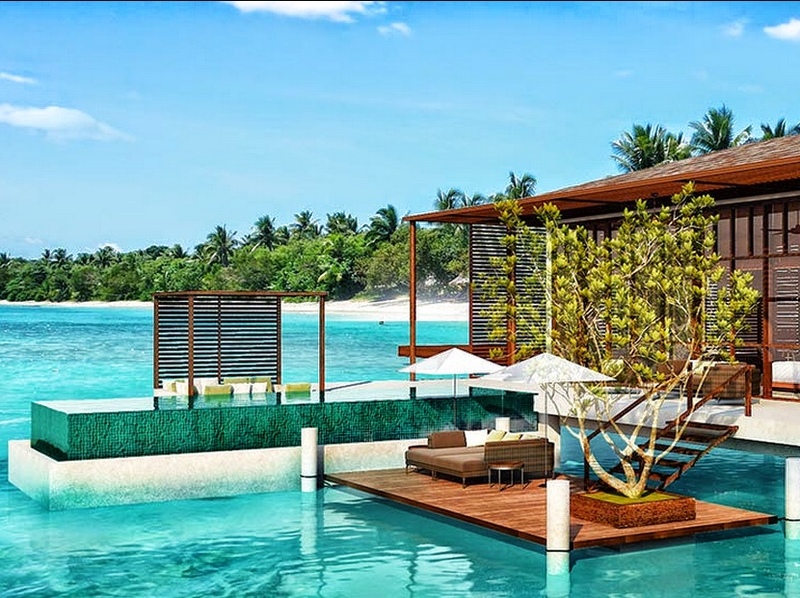 The resort will cater to a niche segment of high-end luxury travellers to Maldives and international investors. Noomadi Resorts and Residences Anstalt contributed to social housing in the region by building 500 housing units for the Maldivian government in exchange for 50 luxury villa land plots and 100,000 sq. ft. of land (to cater for support services) on the Dhapparu Island. The 50 land plots have been subdivided on the island in a manner to allow construction of 150 villas. This February, the New York based Viking Investments Group Inc. signed a LOI with AUR expressing interest in loaning 350M US Dollars to facilitate the development of this resort. The LOI contemplates a term of 5 years with an interest rate of 8% computed semi annually in arrears and interest only to be paid annually. The security being, first ranking security interest over all of AUR’s assets and undertakings with a right to convert a portion of the principal amount of the loan into ownership of villas at the Chedi Resort. The loan transaction is subject to the parties executing a definitive agreement on or before February 27th, 2015, and is conditional upon, among other things, Viking having secured financing sufficient to allow Viking to advance the loan proceeds. AUR has already engaged various service providers to assist with the design, development and management of the Chedi Resort, including GHM Hotels; AECOM, AW2, Intaran – Landscape Architect (Karl Princic) Based in Bali, Indonesia; Lighting – The Flaming Beacon based in Melbourne, Australia, Dive and Recreation Centre – Dive Butler; AV – IT – Solarwind based in Singapore, Kitchen & Laundry – Fondue based in Dubai, UAE, Marketing Collateral – Kingsland Linassi based in London, UK and Sales Agents – Dubai Sotheby’s International Realty UAE. AUR is a BVI based company established with the objective of developing luxury residences and hotels/resorts in select markets. AUR has an understanding with GHM Hotels Singapore to partner in all possible projects which suit GHM style. AUR is supported by the Indian parent company Rajesh Lifespaces, which is celebrating its 50th anniversary as one of Mumbai’s prestigious developers. It has crafted spaces spread over 7 million sq. ft. in the western and the central suburbs of Mumbai. Rajesh Lifespaces currently has 13 real estate projects with approx. 6.5 million sq. ft. under development the city of Mumbai.